The Internet Archive has gone live with a collection of nearly 2,400 MS-DOS games that are playable directly in your browser. The gory details of the project can be found over at the blog of the man behind the project, Jason Scott, but the long and short of it is that now anyone can play games like Duke Nukem 3D, Lemmings 2, The Lost Vikings, Cannon Fodder 2, Wolfenstein 3D, The Incredible Machine 2, Total Carnage, Tyrian, Red Baron and Raptor—Call of the Shadows without installing DOSbox or even a browser plugin. The list of games goes on and on, but really, if you’re looking at a list of DOS games, you’re looking for the trilogy that defined a generation’s cereal buying habits. 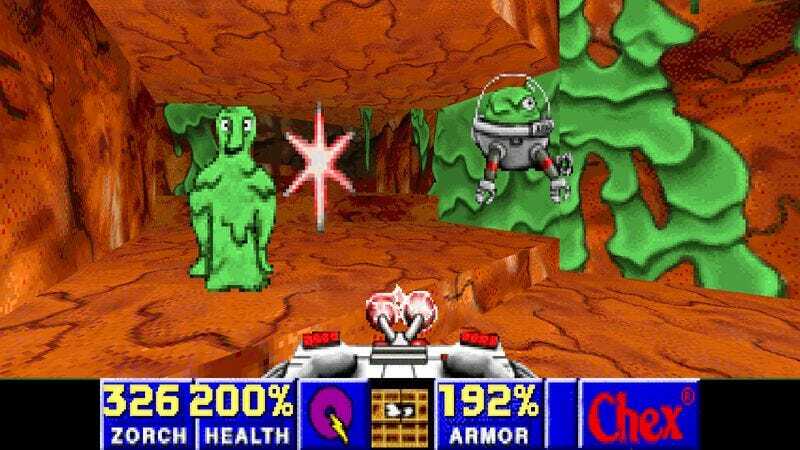 So, yes, Chex Quest 1-3 are all available right in your browser. Go zorch some flemoids, Chex Warrior.